Filename: A new but limited ensemble? Caption: "Leaf off….Leaf on! I wish I knew how Eve attached hers!" Filename: " lack of moisture ?" Caption: "Looks a little dry,,what do you think would help? " Caption: Hello big boy...want to turn over a new leaf? Caption: I cant wait until autumn, for the leaves to fall. Caption: Sure is my favourite season! 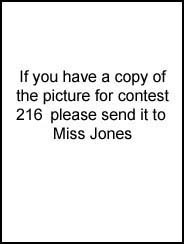 Caption: Can't wait to see Miss Jones turn over a new leaf! Caption: I'll leave it up to you! Caption: Our Miss Jones is leaving to go on holiday and can't decide how big her bikini bottom should be. Should she just "leave" it behind? Caption: The bush may have gone but Miss Jones finds a suitable "Lady Garden" replacement. Caption: Hubby said "wear something that leaves little to the imagination" for when he got home!! Hope he approves? Caption: All this talk of Autumn, just give me a very strong windy day should do it. Caption: Hi Boy's are You ready for the unveiling? Filename: Leaf it to you vicar!!? ?